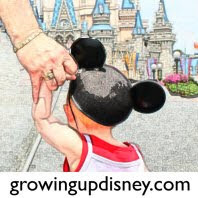 Growing Up Disney: Don't forget the Growing Up Disney meet on Saturday! Don't forget the Growing Up Disney meet on Saturday! Please come by and say hello on Saturday, October 30 between 2 and 4 at Writer's Stop at Disney's Hollywood Studios. I have some fantastic buttons to give away!